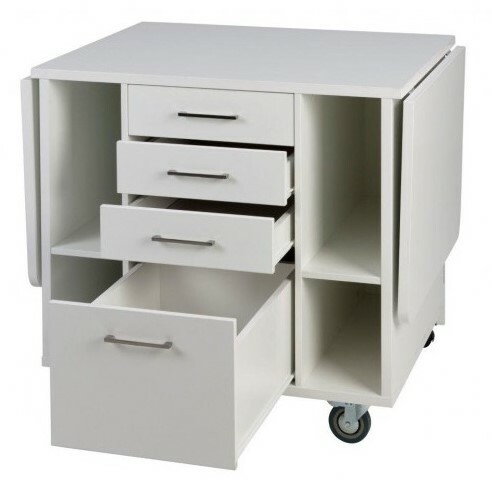 - Great storage and height to work at! 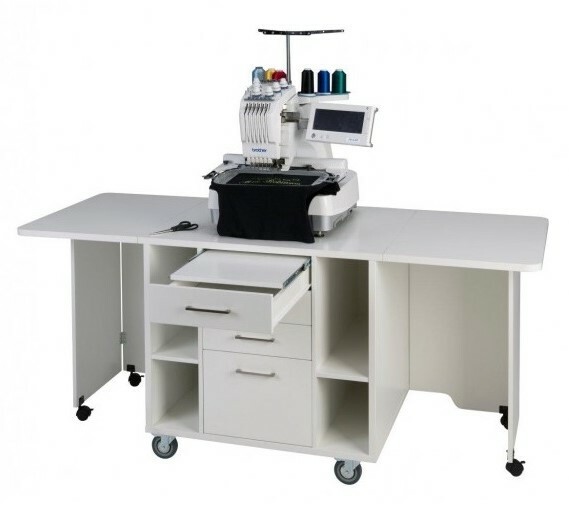 Strong, sturdy with a strong commercial feel, the NEW HORN Stella 3006 Mk2 will take the heavy workloads of for example the Brother commercial embroidery machine PR600/PR620/PR650/PR1000 or the new generation of large domestic sewing machines including the Brother Innovis 1, Husqvarna Sapphire, Janome 11000, Bernina 8 series or any Crafty and Embroidery Machine. The 1 inch thick table top, with knock resistant ABS edging, will take hours of heavy work and limit vibration and operational noise. A unique slide out hooping platform placed at a convenient height that when not in use hides away above the top drawer - great for additional work room when operating the machine. 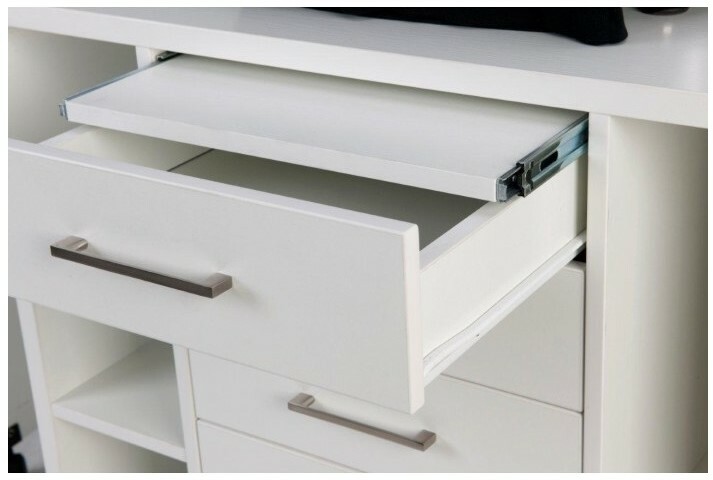 4 large deep drawers, the bottom drawer being extra deep, perfect for storing bulky machine accessories. Lift up work areas either side of main body that are held in place by sturdy gate leg supports - have them up when more work area is neededand down when not. Self assembly required for this unit.